There’s been a buzz for some time now about new music from Neil Young & Crazy Horse, and now the details have been confirmed. 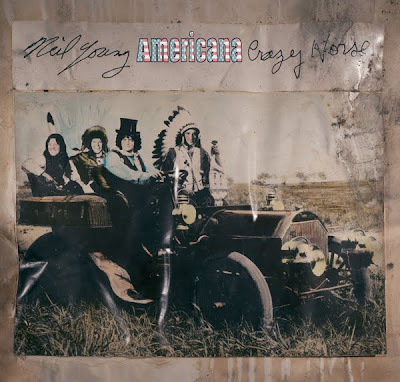 Rolling Stone reports Neil and Crazy Horse will release their new album “Americana,” on June 5th. It's their first album together since 2003’s “Greendale,” and their first album with the full Crazy Horse line-up of Billy Talbot, Ralph Molina and Frank "Poncho" Sampedro since “Broken Arrow” in 1996. "They're songs we all know from kindergarden, but Crazy Horse has rearranged them, and they now belong to us,” said Neil at the Slamdance Film Festival earlier this year. "She’ll Be Comin ’Round The Mountain"